I received this recently and took it out today for the first time. It's a tip flex rod which gets progressively stouter towards the handle. There's two zooming sections which extend the rod to 3.9 m. The zooming sections seat securely when not being used. The rod cap is a Fuji cap. I used it with two different lines, a furled fluorocarbon line (Shimotsuke Mai Line) and a #4 Yamatoyo hi-vis chartreuse fluorocarbon line. 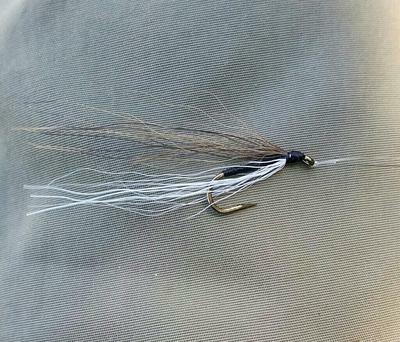 5x tippet was used on both lines. The rod cast the lines well. I would not use a line smaller than #3.5 level line with this rod. 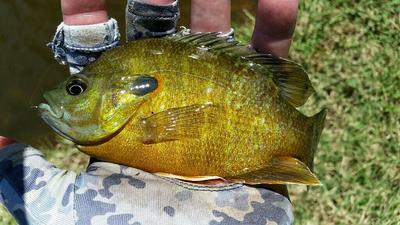 I was catching sunfish in 96 degree heat. I fished for about an hour or so and the day was still heating up. The rod handled the fish easily. The zooming sections make the rod very versatile. 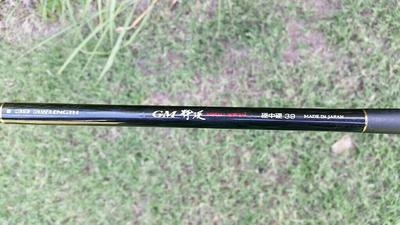 I also have a GM 39 and it has become one of my favorite rods because of the versatility, the light weight, and better durability. Plus, the grip just feels right in my hand, which is between large and extra large in glove size. I got it in the beginning to solve some breakage problems I had had with two 390 Nissin Air Stage rods (probably because of casting them with a 12 foot long, 000 Floating, tapered, PVC coated fly line in addition to the more normal level FC lines and heavy flies), so it was primarily bought to be a still-water Tenkara fly fishing rod. But this season I have used it on some streams as well, and its performance is most impressive there also. I especially like it where there is a chance for trout that are big enough to break the light weight Seiryu 33s that I normally use for my small stream fishing. 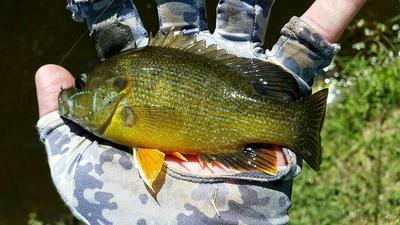 I have also found the 3-different length fishing options to be a big plus as well. I can not sing enough praises for this rod; it is a true bargain at its price point and gets high marks as being the only rod that you will ever need....Karl.